Sister Cities Park on Logan Square will be transformed into a richly planted, well-illuminated and welcoming civic space for people of all ages as part of the $17.1 million makeover of the Benjamin Franklin Parkway. The newly designed park is located in front of the Cathedral of Saints Peter and Paul and across the street from the Four Seasons Hotel. 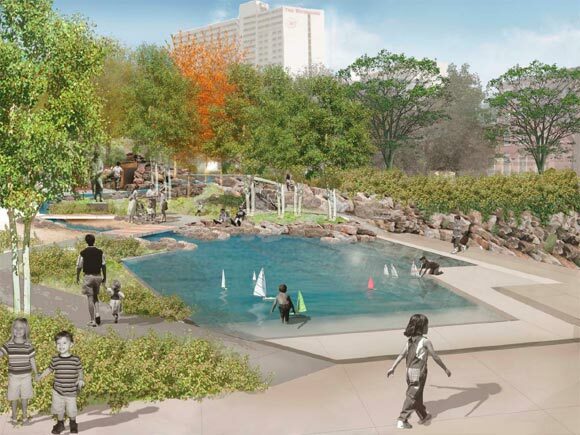 The renovations will include an attractive new café, a new fountain that will commemorate Philadelphia's Sister Cities program and an active, educational play garden for young children in a natural setting. Please RSVP no later than May 6, 2011 to Carol Raffa at craffa@centercityphila.org or 215.440.5500.